To claim this profile, please confirm you are Brett Baty. To follow this profile, please let us know your relationship to Brett Baty. Brett's baseball stats have been updated for the win vs. Hays. RESULTWin Varsity baseball vs. Hays. The Lake Travis varsity baseball team won Tuesday's home conference game against Hays (Buda, TX) by a score of 10-0. Brett was tagged in the article "MaxPreps Top 25 high school baseball national rankings." IMG Academy moves back into the No. 1 spot after Colleyville Heritage loss. Brett's baseball stats have been updated for the win @ Del Valle. The Lake Travis varsity baseball team won Thursday's away conference game against Del Valle (TX) by a score of 17-0. Brett's baseball stats have been updated for the loss vs. Georgetown. The Lake Travis varsity baseball team lost Saturday's home non-conference game against Georgetown (TX) by a score of 7-5. Brett's baseball stats have been updated for the win vs. Westlake. RESULTWin Varsity baseball vs. Westlake. The Lake Travis varsity baseball team won Friday's home conference game against rival school Westlake (Austin, TX) by a score of 6-3. Brett's baseball stats have been updated for the win @ Lehman. RESULTWin Varsity baseball @ Lehman. The Lake Travis varsity baseball team won Tuesday's away conference game against Lehman (Kyle, TX) by a score of 14-2. Brett was tagged in the article "MaxPreps Top 25 national high school baseball rankings." Brett's baseball stats have been updated for the win vs. Austin. The Lake Travis varsity baseball team won Friday's home conference game against Austin (TX) by a score of 12-0. Brett's baseball stats have been updated for the loss vs. Akins. RESULTLoss Varsity baseball vs. Akins. 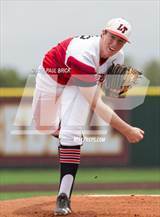 The Lake Travis varsity baseball team lost Tuesday's home conference game against Akins (Austin, TX) by a score of 9-5. Brett's baseball stats have been updated for the win vs. Dripping Springs.